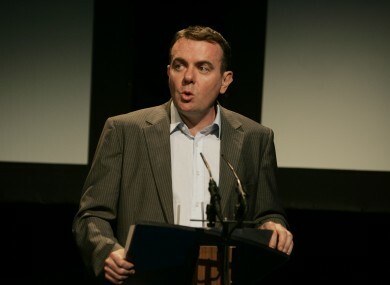 THE DIRECTOR GENERAL of RTÉ, Noel Curran, has said that the final report from the Broadcasting Authority of Ireland in to the Prime Time Investigates Mission to Prey programme does “not make easy reading” for the broadcaster. The State broadcaster was fined €200,000 by the Authority which can fine a maximum of €250,000. The report found that there had been serious breaches of the Broadcasting Act. Curran said that an investigation of “personnel matters” arising from the programme, which is being led by Dr Maurice Hayes, is continuing and will conclude shortly. The report is critical of programme makers Aoife Kavanagh, Brian Pairceir and Ken O’Shea. Pairceir and O’Shea have currently been transferred out of the news and current affairs department in RTÉ. Aoife Kavanagh resigned from RTÉ this evening. Producer of Mission to Prey, Mark Lappin, now lives in London and works for CNN, while former Head of News at RTÉ, Ed Mulhall, took a retirement package from the broadcaster earlier this year. RTÉ accepted the findings and said that the defamation of Fr Kevin Reynolds was one of the most significant errors in its broadcasting history, acknowledging that the allegations that Reynolds fathered a child while working as a missionary in Kenya should never have been broadcast. Curran insisted that a “a great deal has changed in recent months at RTÉ and more will change as we embed the new structues”. We know we have fine people with great skills and that the way this programme was presented to our viewers was not representative of the excellence for which our journalists, producers and editors have been rightly praised. With that knowledge, and with the commitment that I have seen in recent months within the organisation to work hard to regain the public trust that was lost as a result of this programme, I am confident that we can get past this difficult time. Curran said that since April, over 500 RTÉ staff have undergone a training programme on the station’s new journalism guidelines and 600 in all will have completed this by the middle of May. The best external, independent advice has shaped our response. The Director General, with the support of the Board of RTÉ, has introduced comprehensive reforms in editorial structures, in management, and in operations. Journalists, editors, and programme makers are being trained in new editorial guidelines. Email “'We will continue to learn from these grave errors' - RTÉ Director General ”. Feedback on “'We will continue to learn from these grave errors' - RTÉ Director General ”.